creed, but a sustained and all-comprehending effort at spiritual selfevolution." 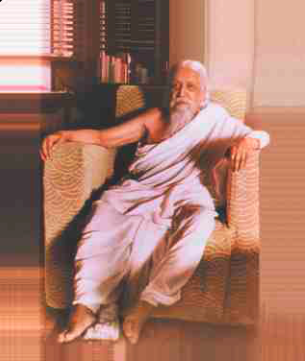 Throughout the history of mankind spiritual gurus have appeared on very rare occasions to exemplify the highest truth, guiding followers by their conduct in every moment of their lives; Sri Auorbindo was one such soul. Unique in our time, he perfectly embodied the ultimate truth of self- realisation, or complete immersion in God.